See my Pbase site, where I post all my photographs that I think might help people identify birds. See technical stuff about this site and my photo equipment. 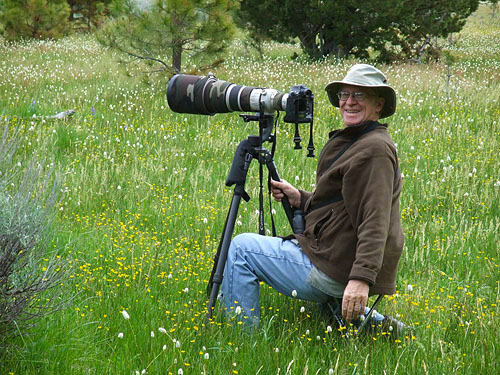 I'm Tom Grey, a bird photographer living on the Stanford campus near Palo Alto in the San Francisco Bay Area. This site is my illustrated bird list, showing selected images of the species I've photographed since I began taking pictures of birds in 2002. The photos on this site are displayed on species pages. In creating these pages, I've selected, arranged, and captioned pictures with the aim of attractively presenting useful information about birds. Hovering your cursor over an image tells you where and when the photo was taken. * Places are in my home base of Stanford and Palo Alto, Santa Clara County, California, U.S.A., unless the name of another Santa Clara County town, California county, U.S. state, or nation is given. Species pages can be reached through four index pages. Three of these are lists of links to the pages for species I have photographed in North America, defined as the American Birding Association (ABA) area, one alphabetical and two, for songbirds and other birds in taxonomic order. Species I have photographed only outside the ABA area are listed alphabetically on my World bird index. When I have photographed a species within North America, any photos from outside the area appear on the ABA species page. My maximum size for web images started at 640 x 480 pixels, and is now 1000 x 800. I've been gradually upgrading old images to the larger web display size, but a number of smaller ones remain. On many species pages, captions include discussion of identification issues. Comments aimed at correcting or improving these discussions are always welcome. For more on me and my bird photography, including some technical information, look here. I have a separate gallery of bird pictures (with almost all the images on this site and many more besides) on the photo-sharing site PBase, where technical data about photographs can be found. From that site here is a page of my pictorial favorites. The pictures on this page show some places where I photograph birds. Two of these, pictured left, are on the Stanford campus, where we live and work. ("We" includes Barbara Babcock, who doesn't consider herself a birder, but sometimes notices birds that I miss.) 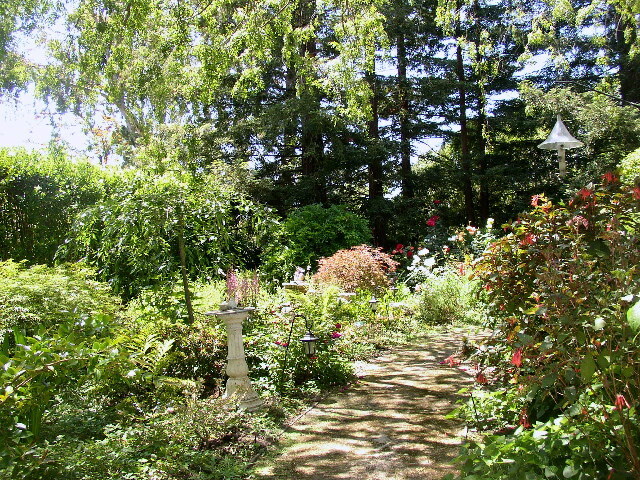 Top left is our backyard garden, and below that Frenchman's Park, a short walk from our house. 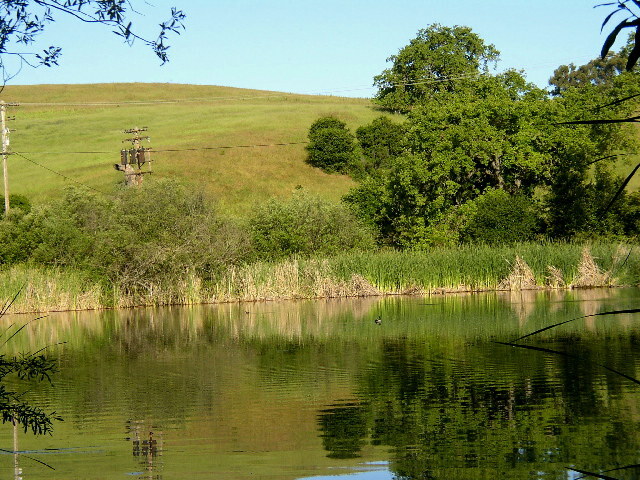 On the top right is a view of Arastradero Preserve, a natural area in the Santa Cruz Mountain foothills only a short drive from Stanford, with a stream, a lake, and characteristic California oak savannah habitat. The picture below that is from the Moss Landing / Elkhorn Slough area on the Monterey County coast, which we visit several times a year. 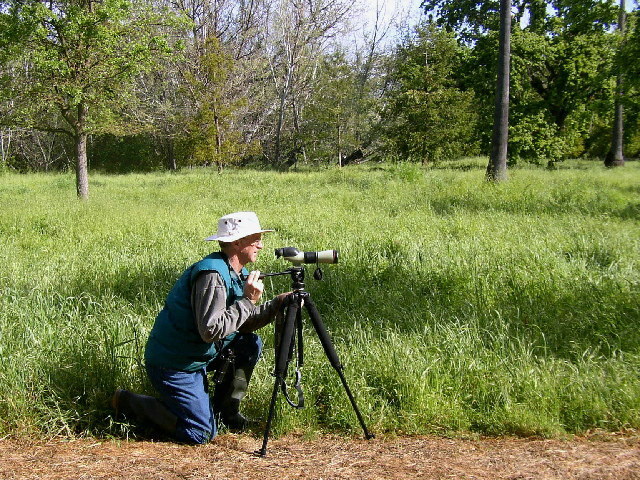 Other regular bird photography spots in Santa Clara County include Palo Alto Baylands Park, Shoreline Park in Mountain View, and the marshes of Alviso. I take pictures of birds at other spots in the Bay Area and nearby in Northern California. I also bring photo equipment on trips further afield, and many pictures here have come from those expeditions. * Not when this site is viewed on devices lacking a cursor; and not on some of my older species pages, though I am gradually updating those older pages. Copyright and contact information. All images on this site are © Tom Grey. Visitors are free to download any of them for personal enjoyment. To request permission for other uses, please email me (tgrey at law dot stanford dot edu), where I'm also happy to receive any other communications about this site. KompoZer. For more, scroll to the bottom here and read "THIS SITE." 538 species photographed in North America, 143 elsewhere, total 681. In the Alphabetical Index and World Bird Index you can find newly added species pages marked with ++, recently updated pages with +. Hawaii birds (see Other News) are marked with > in the Alphabetical Index . For my most recent bird pictures, see the "Latest" gallery at my Pbase site, plus any other galleries that appear in front of it. I usually get new pictures up on Pbase before I add them to my species pages here. Added Chestnut-collared Longspur to North America index pages. Pages showing species photographed only in Hawaii have been added to the North America pages, following the 2016 addition of that state to the American Birding Association area.